This not-to-miss promotion offers buyers significant savings and special incentives with the purchase of a new home. SAN ANTONIO - Jan. 2, 2017 - PRLog -- Start 2017 off right and ring in the New Year in a new home! Titan Factory Direct, a factory direct builder of Champion Homes, is saying goodbye to 2016 and excited to announce the details of their first ever 'New Year New Home' sales event. The promotion runs through the month of January and includes incredible gifts and special savings, valued at up to $5,000. Valid on first time visits, buyers who purchase a new home (manufactured home, modular home, mobile home, pine mountain cabin or tiny home), can choose between a stainless steel appliance package, home base pad or a $2,500 instant savings rebate. This January is the perfect time for prospective buyers to purchase their dream home, for thousands less than they're paying in rent. 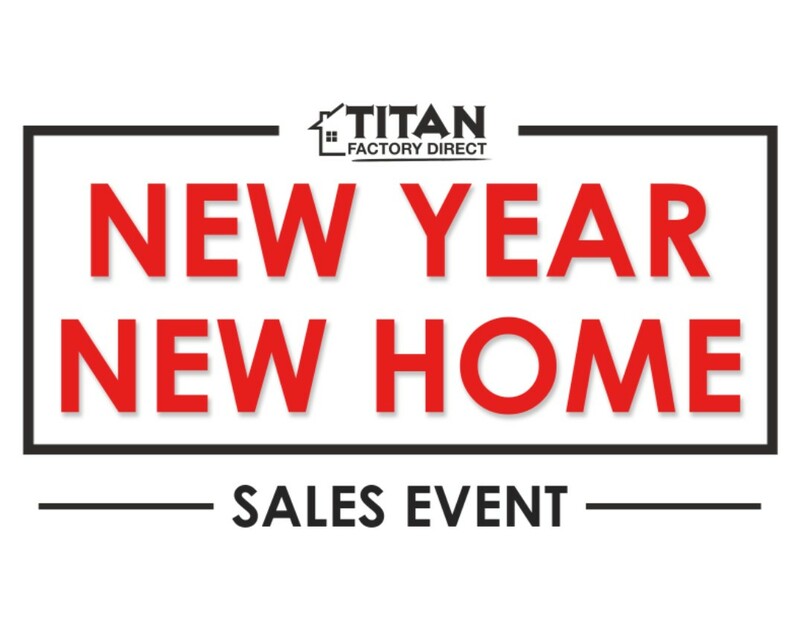 For more information on the 'New Year New Home' sales event, stop by a Titan Factory Direct sales center. For a list of locations visit www.titanfactorydirect.com or call 855-550-6550. Titan Factory Direct, a factory direct builder of Champion Homes, is a full service manufactured and modular homes company. Titan will help with home site selection and assists in all phases of purchasing and building, from start to finish. Their wide selection allows buyers to search for new and used manufactured, modular and mobile homes as well as repossessions, land-home packages, commercial and oil field housing for the best price available. For more information, visit www.titanfactorydirect.com.